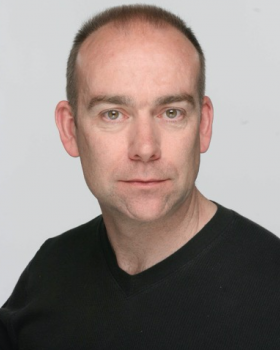 Nigel West is a director with decades of experience on 1st class West End and international productions. After working on 29 productions for the Bristol Old Vic Company at Theatre Royal, Nigel joined Olivier award-winning Me And My Girl at the Adelphi Theatre as Associate Director, establishing a 10 year association with director Mike Ockrent. Nigel directed the 1st UK Tour, consulted on multiple foreign productions and has directed the show in Stockholm (in Swedish), Canada, Australia and New Zealand - receiving best director nominations for the Canadian and Australian productions. Nigel then became Associate Director of the Tony and Olivier award-winning Crazy For You at the Prince Edward Theatre, and directed the UK tour and Australian production. He also acted as artistic supervisor for the South African production. Nigel was UK Associate Director of the Oliver award-winning Beauty & The Beast at the Dominion. Resident Director of Tony & Olivier award-winning Chicago at the Adelphi, Cambridge and Garrick Theatres, also cast and directed productions in Buenos Aires, Mexico City Dusseldorf. Madrid / Spanish tour, Singapore, Australian Tour and Korea. Credits as director include The Wizard Of Oz (Madison Square Garden, NYC and 3 season US tour) Stephen King’s Misery (UK Tour), Mary Poppins Ontario Canada (Best production nomination) She Loves Me (Drayton Theatre, Canada) Closer Than Ever. Amsterdam and Dutch tour. Just For Joe starring Brenda Cochrane (Edinburgh festival & Scottish Tour); Dennis Potter’s Blue Remembered Hills (Belgrade Theatre, Coventry). He has also directed various pantomimes for Qdos at Glasgow Kings Theatre, Birmingham Hippodrome and Coventry. Selected Associate Director credits include: Young Frankenstein (Garrick Theatre), The Scottsboro Boys (Garrick Theatre & Young Vic), The Producers cast and directed US Tour and first German-language productions in Vienna & Berlin) all for Susan Stroman. Beauty And The Beast (Dominion Theatre), Crazy For You (Prince Edward Theatre & directed 1st UK Tour), Me And My Girl (Adelphi Theatre, directed 1st UK Tour, multiple international productions) for Mike Ockrent.